Avaruusmatkaaja: Laukaisu su 15.10. klo 10.28: Atlas V / NROL-52 - Laukaisu onnistui! Laukaisu su 15.10. klo 10.28: Atlas V / NROL-52 - Laukaisu onnistui! 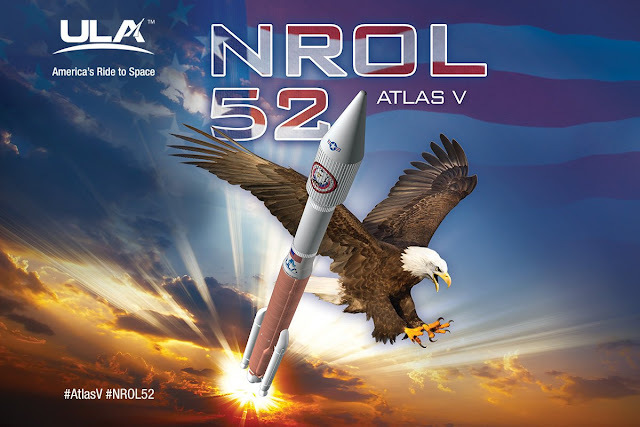 A United Launch Alliance Atlas 5 rocket, designated AV-075, will launch a classified spacecraft payload for the U.S. National Reconnaissance Office. The rocket will fly in the 421 vehicle configuration with a four-meter fairing, two solid rocket boosters and a single-engine Centaur upper stage.